This script allows you to edit the width of a text box in a simple open-ended question. Copy the script in the “Client script” box that you find in the gearwheel button of the page containing the question. 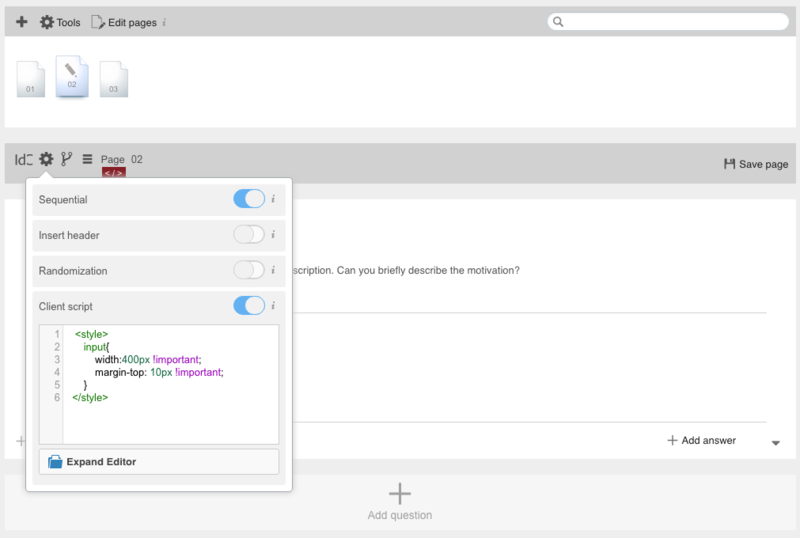 If the “text area” option is enabled in the open-ended question, the script will be slightly different. You will need to replace input (in green in the example above) with textarea (in green in the example below).